Pokemon Go is a location-based virtual and reality augmented game developed by Nintendo. What is Pokemon Go and How to play this game? All the terms you need to know about this mobile game app. Pokemon Go is a location-based virtual and reality augmented game developed by Nintendo and Niantic Labs for iOS and Android devices. It was released in July 2016 in some of the selected countries. In the game Pokemon Go, the players use their smart phone GPS capability to locate, fins, capture, battle, and train their virtual character creatures, the Pokemon. With the help of the camera on the smartphone in the real world, they locate the Pokemon of the virtual world. So the game is also called the combination of virtual to real world. In the beginning of the release time, there were mixed reviews about the game. 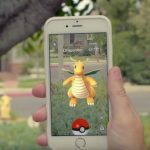 The critics were praising the game’s concept further the craze of the game went to the climax that it was so difficult to find the user not having the top game Pokemon Go in their device. This craze leads the app to be the most profitable game in 2016 with more than 500 million downloads. However in some of the place the game was criticized for contributing the accidents in public places. If you got installed the game here are some of the terms that you must understand before playing. Here are some of the names and used phrases across the game that leads to playing you without any hassle if you go through them. Pokéstops: Poke stops are the places where Pokemon lives. Especially they are found in public places like the park, around monuments, river banks etc. The dotted area around the map is the pokéstops. Pokéballs: The Pokéballs are used to catch Pokemon and strength up your team. Incense and Lure Modules: Using these teams you can attract more Pokemon to the location near you. Gyms: The Gyms are available after crossing level four, controlling gyms are the main thing in the game. Especially Gyms halls and around it are the location where the battles take place between the player and the Pokemon. Factions: After you reach the level five you can determine the color of a gym. You can simply choose your favorite one. Potions, Super Potions and Revives: After every hard battle, your Pokemon needs time to recover and perfect for the next challenge for all this you must help the Pokemon. Candy and Stardust: Candy and Stardust are the supplements that make your Pokemon stronger and active over more gyms. Eggs: Eggs are from were Pokemon burns if you got lucky eggs that will add more Pokemon. Now knowing all this it’s to speed the game, Go and boost up your Pokemon.